We received a complimentary brunch at Urban Farmer to facilitate this conversation. Opinions are my own. The four happiest words anyone can say to me are, "Let's go to brunch!" 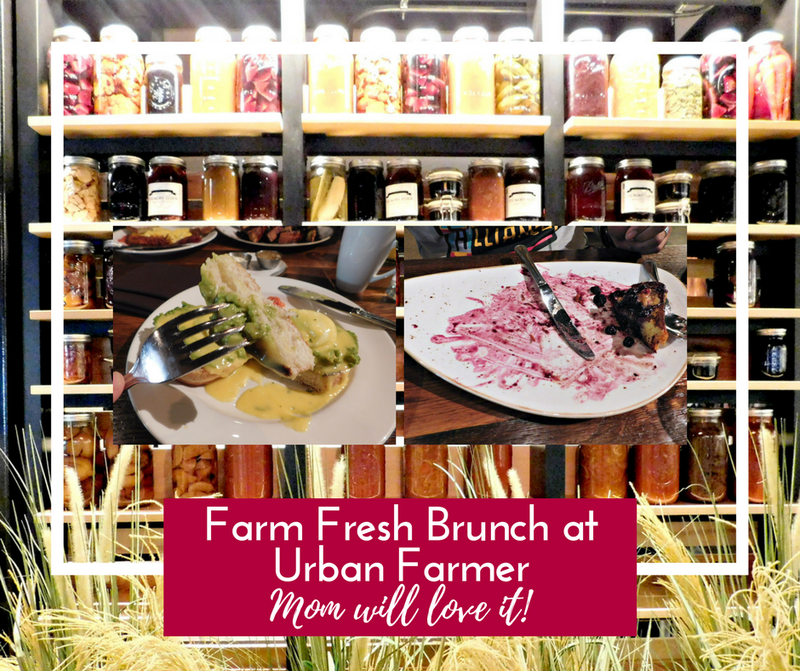 So, when Urban Farmer invited us to try their brunch I was all in. Since I work nearby, I've had breakfast and lunch there several times so I knew brunch would be good. It was better than I thought it would be! Besides the good food, I love the look of Urban Farmer. It's rustic but not down home. The reclaimed materials honor our city while keeping a cozy feel. And the details! There are many wonderful things to look at and discover. Not many restaurants use their pantry as part of the decor. But, now I want this in my home. It would have to be stocked with Urban Farmer goodies, of course. In retrospect, we probably should have waited till after 11 AM for brunch for one reason - the bloody Mary bar! I forgot about Sunday liquor laws. But, we were up early and had a busy day planned. Urban Farmer's Sunday brunch menu is diverse. There is something for everyone's taste and it all sounds amazing. Two eggs, crispy breakfast potato, and thick cut bacon. Eggs benedict with avocado on a house-made English muffin. 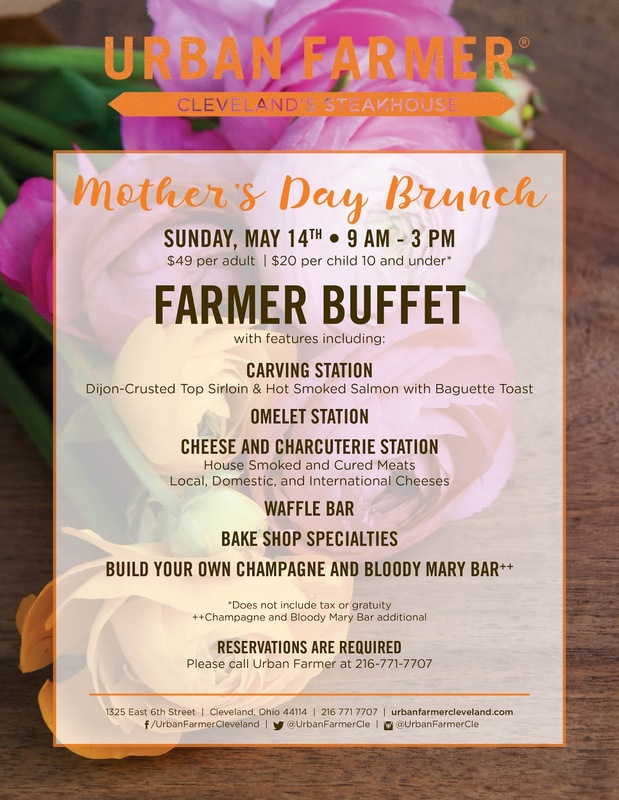 Wouldn't mom be impressed if you surprised her with reservations for Mother's Day? I guarantee everyone will join the clean plate club.